Beauval Zoo, known simply as Beauval, takes a long time to see. A very long time. You can spend an hour or more at the entrance alone. 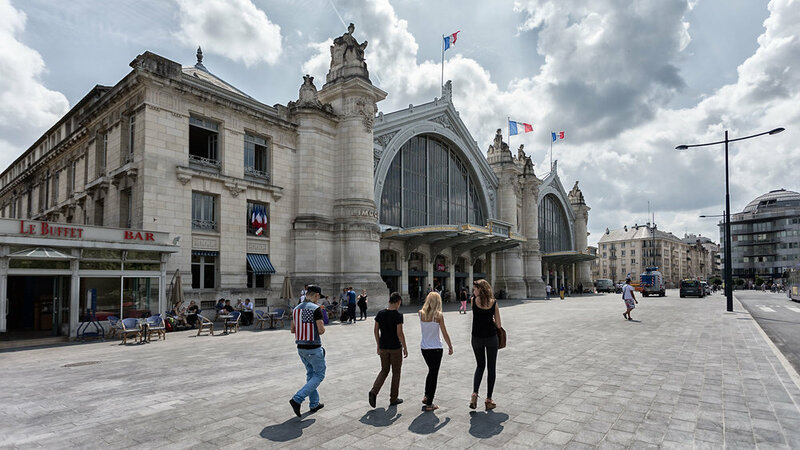 The Gare de Tours is quite simply wonderful. It was built between 1896 and 1898 during what is now known nostalgically as La Belle Époque, a time of peace and prosperity when France was the cultural centre of the world. Imagine that your image is divided into nine equal parts by two vertical and two horizontal lines. The rule of thirds states that you should position the most important elements in your scene along these lines, or at the points where they cross. Most modern cameras allow you to superimpose a Rule of Thirds grid in your viewfinder or on the rear display. Check your camera's manual to see how to turn the grid on. Off to Loches to look at some art. The first exhibition was in the wonderful Lansyer Museum. To go there is to go back to the 1830s. The lovely old house still has its original parquet floors, fireplaces and many other period features. 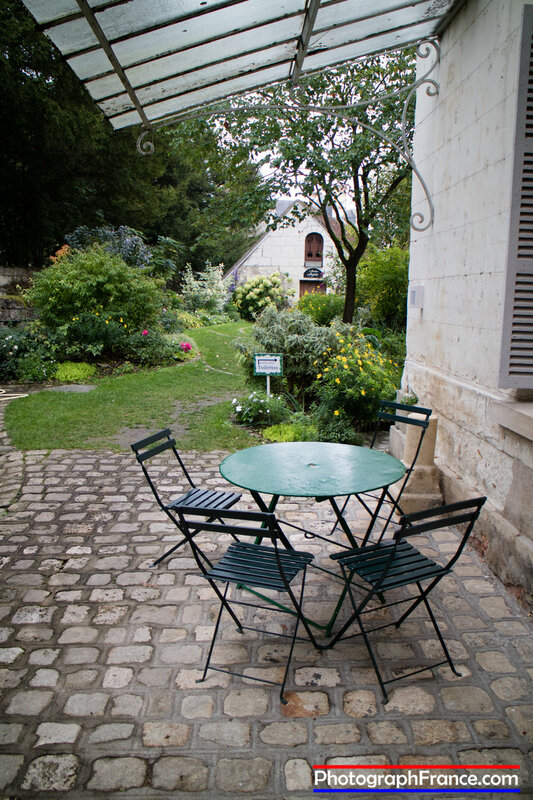 The museum is dedicated to Emmanuel Lansyer, architect turned artist who inherited the house from his mother. Loches in turn inherited it from him. Lansyer’s will was made in 1891. The museum opened in 1902. 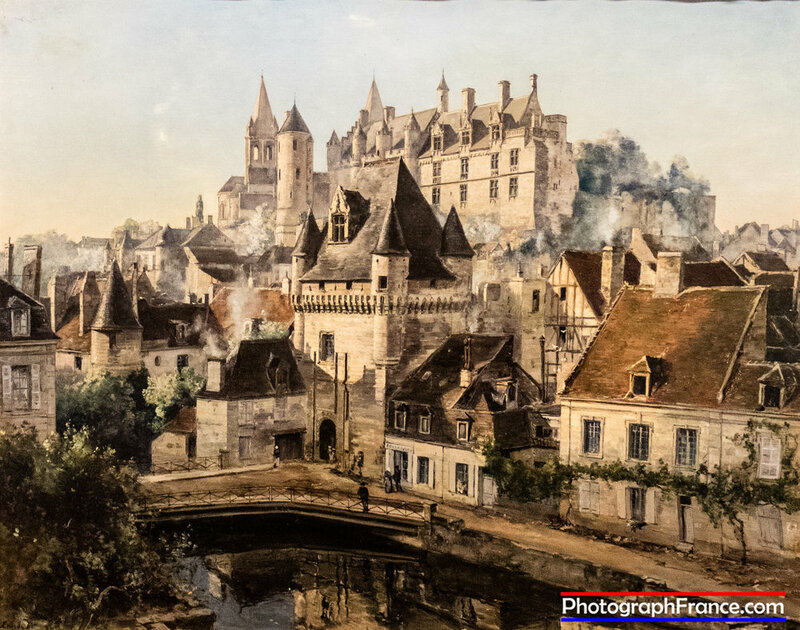 “I hereby devise and bequeath to the Town of Loches all my paintings and drawings existing on the day of my death, in my house in Rue Charles VII [of which my mother is currently occupying a part] and in my apartment in Paris […]. 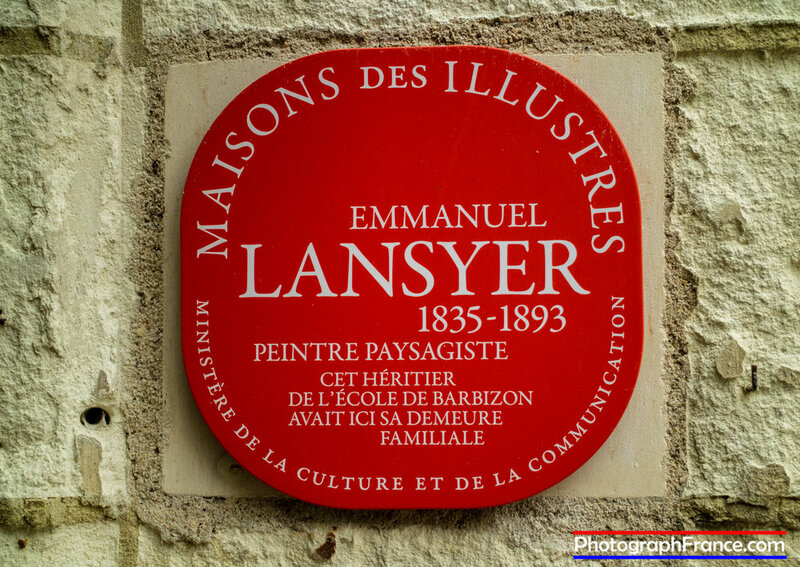 In the aforesaid house, a museum will be created under the name Musée Lansyer”. He left the town six thousand artefacts including valuable paintings by Piranesi, Canaletto and Delacroix, drawings, sketchbooks, engravings, prints, photographs, books and furniture. Lansyer worked for the architect Eugène Viollet-le-Duc who was derided for his restorations of ancient buildings. When the fortress of Carcassonne sprouted pointed roofs le Duc was strongly criticised on the grounds that only what was there originally should be reconstructed. In 1861, Lansyer swapped architecture for painting and went to study under Gustave Courbet. 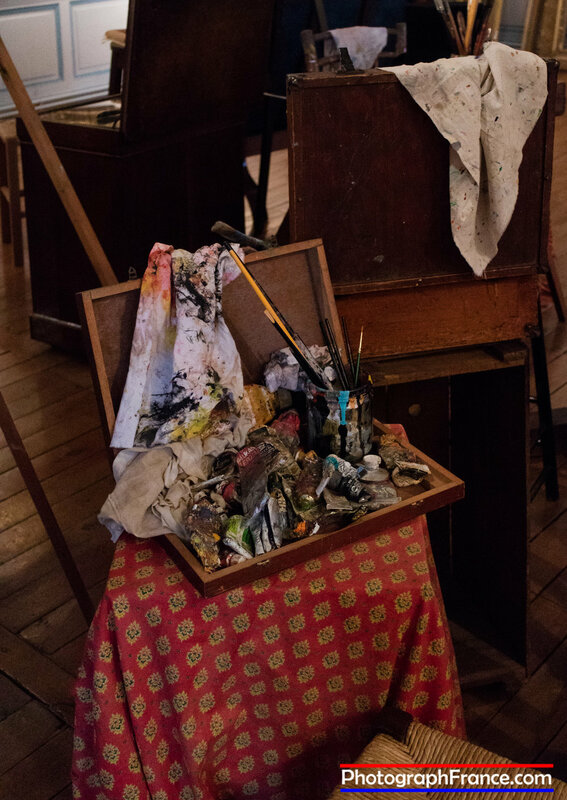 In the exhibition was a reconstruction of Courbet’s teaching studio in rue Notre-Dame-des-Champs in Paris. The life size papier mâché cow on show was not there on a whim. Courbet, who painted only what he could see, often took live animals into the studio for his students to draw. The curator’s brainwave in the exhibition was to set up easels to make visitors feel that they were his art students. Some, not us, made brave attempts to draw the cow. 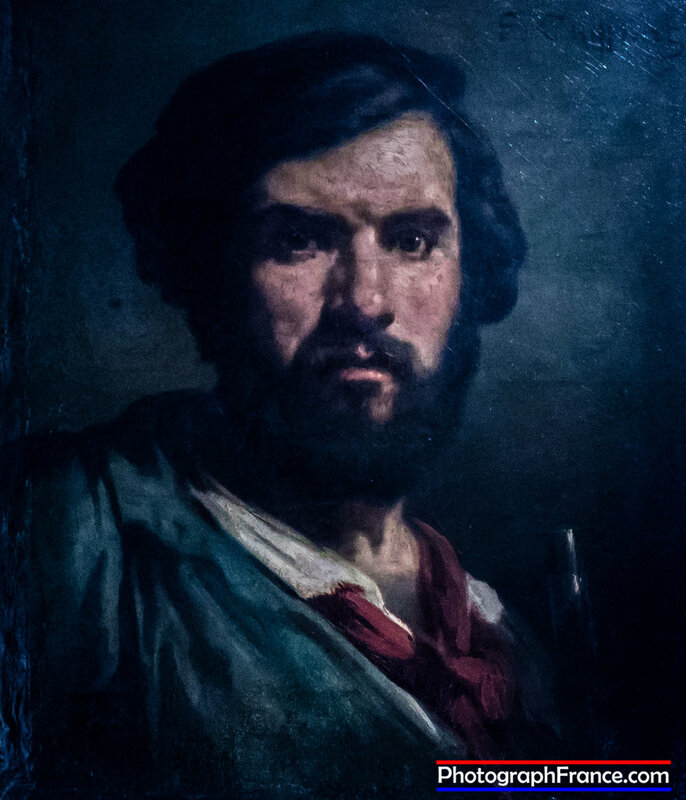 The exhibition showed works by Lansyer side by side with those of Courbet to show the influence he had on his pupil but Courbet could have learned a thing or two from Lansyer. Although Courbet, who visited Lansyer in Loches, is the more famous, Lansyer’s paintings do not in any way suffer by comparison. Those of Loches show his architectural training. One of the Château is especially stunning. Courbet and fellow artist Millet painted the lives of peasants and manual workers to draw attention to their terrible working conditions. Because they did not idealise or romanticise peasants, they were considered vulgar. Courbet wanted to depict the harshness of life, critics accused him of depicting its ugliness. Their style of painting and their choice of subject matter became known as Realism. Courbet had a huge influence on the Impressionists. Monet included a portrait of him in Le Déjeuner sur l’Herbe. Vincent Van Gogh copied his paintings especially Self-Portrait with a Pipe. Van Gogh painted many pictures of men with pipes. Courbet, like his grandfather who fought in the French Revolution, was a political animal. He seems to have had a self-destructive side. At the peak of his success, he wrote to the Government proposing that Napoleon’s Column in the Place Vendôme be taken down. When the Communards destroyed it, Courbet was ordered to pay the cost of putting it back and was put in prison. When he was discharged he went into self-imposed exile in Switzerland to avoid bankruptcy. Lansyer on the other hand seems to have died in peace of old age. 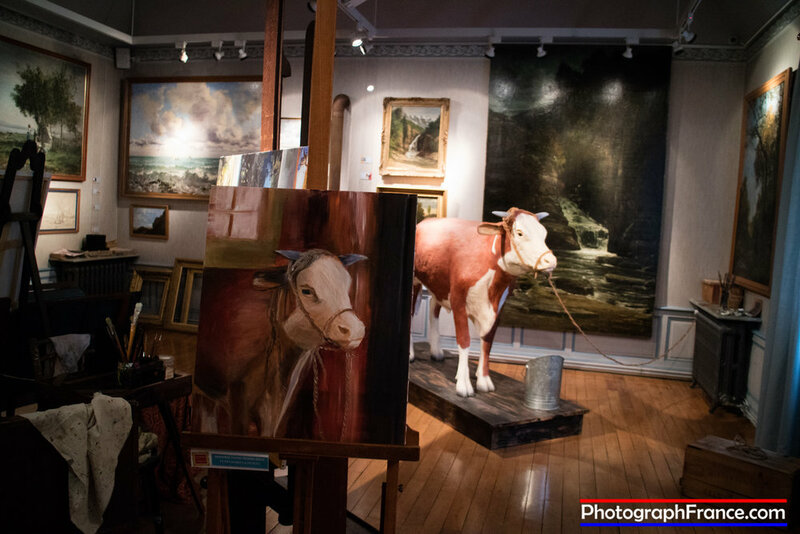 The second exhibition was in the Galerie Saint-Antoine. Unlike the Lansyer/Courbet this one is permanent. It is also jaw dropping. Is it for real? It is. Why the amazement? Because on display are two paintings by Caravaggio. Yes. That Caravaggio. 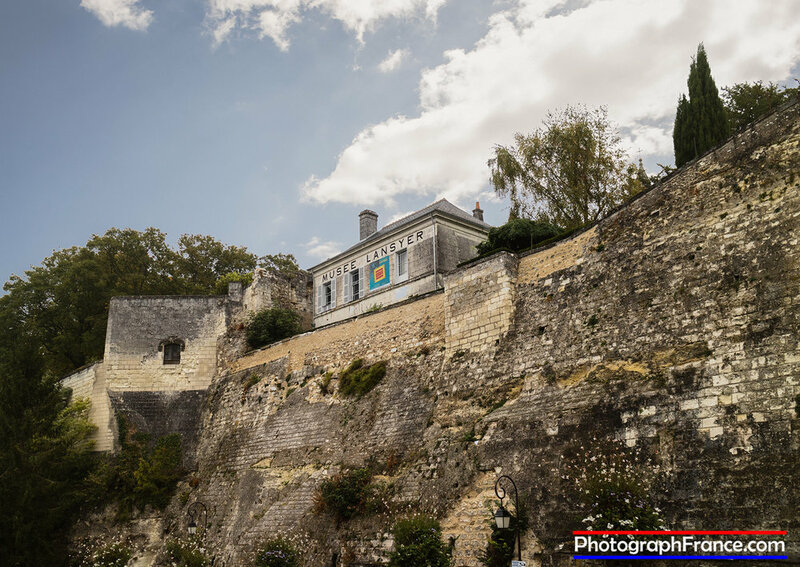 How on earth did they end up in Loches? When St. Anthony’s Church was being restored, the two paintings La Cène à Emmaüs (Supper at Emmaus) and L’Incrédulité de Saint Thomas (Doubting Thomas) were discovered. Paintings by Jean Boucher, court painter to Louis XIII, were also found. They were kept under the organ loft until 1999 when someone became interested in a coat of arms on the works. It turned out to belong to Philippe de Bethune, minister of Henry IV, diplomat and art collector who befriended Caravaggio in Rome. Art historians who were, to put it mildly, taken aback took seven years to authenticate them. Scientific tests proved the canvasses and pigments are identical to those used by Caravaggio. Caravaggio was a popular, commercial artist in his own lifetime. His work was much copied but these have been certified as originals. Analysis proved that these are two of the four paintings Bethune bought. Not long after Bethune left Rome, Caravaggio, full name Michelangelo Merisi da Caravaggio, fled the city. He was jailed on several occasions, vandalized his own apartment and had a death sentence pronounced against him by the Pope after killing a young man. He was found dead on a beach in 1610. We left home excited by the thought of seeing original paintings by Courbet. We returned almost shell shocked by seeing original Caravaggios. Life is full of surprises.